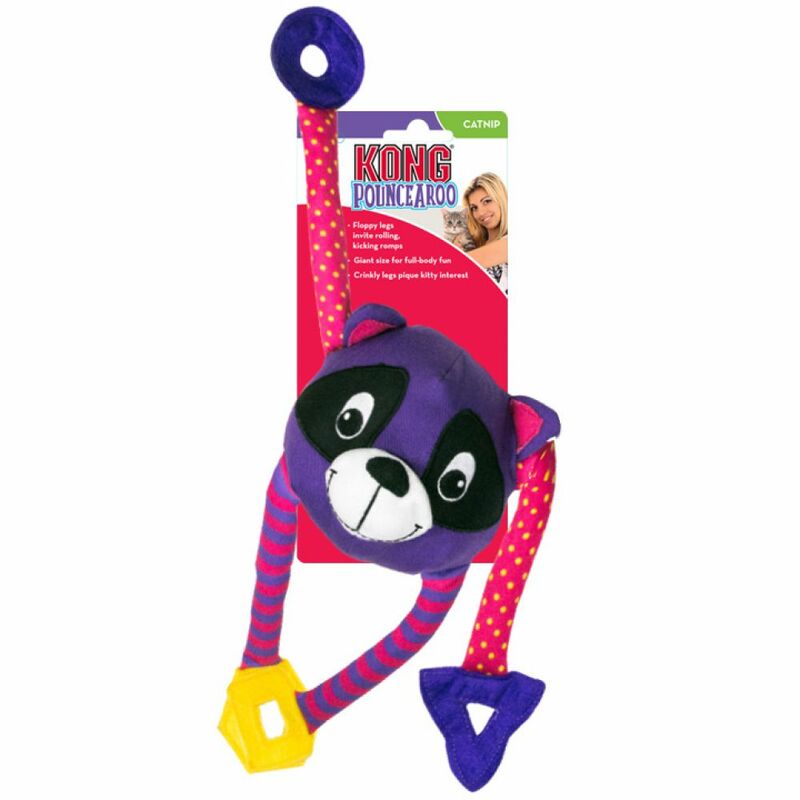 KONG Pouncearoo – An oversized toy for big time kitty fun, the Pouncearoo’s large body and flip-floppy legs flounce around for a kicking, rolling extended frolic. 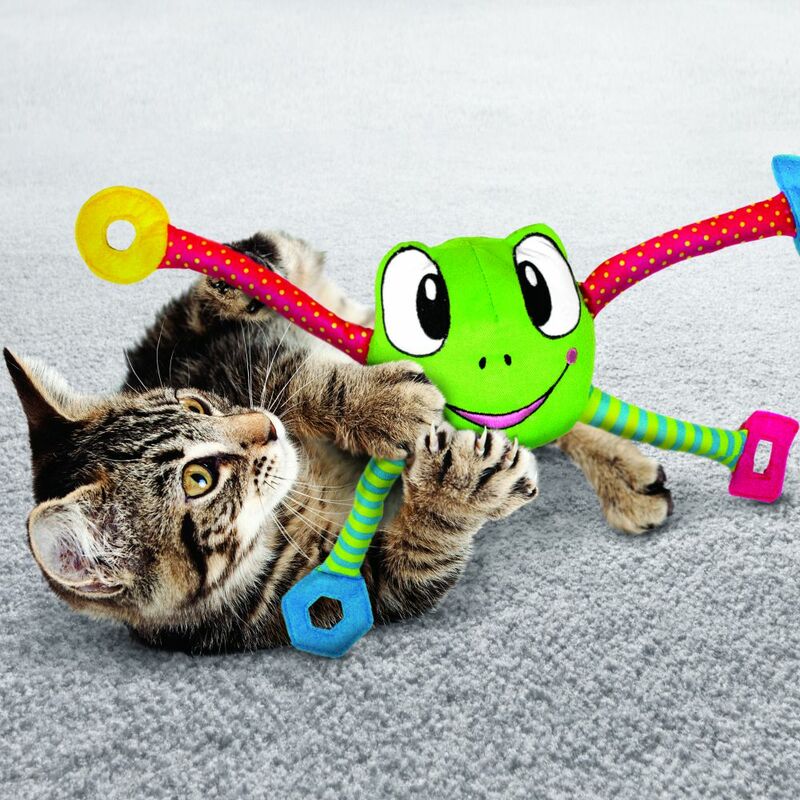 Crinkle sounds call to natural hunting instincts while kitties twist and wriggle, engaging in tip-to-tail healthy, active play. 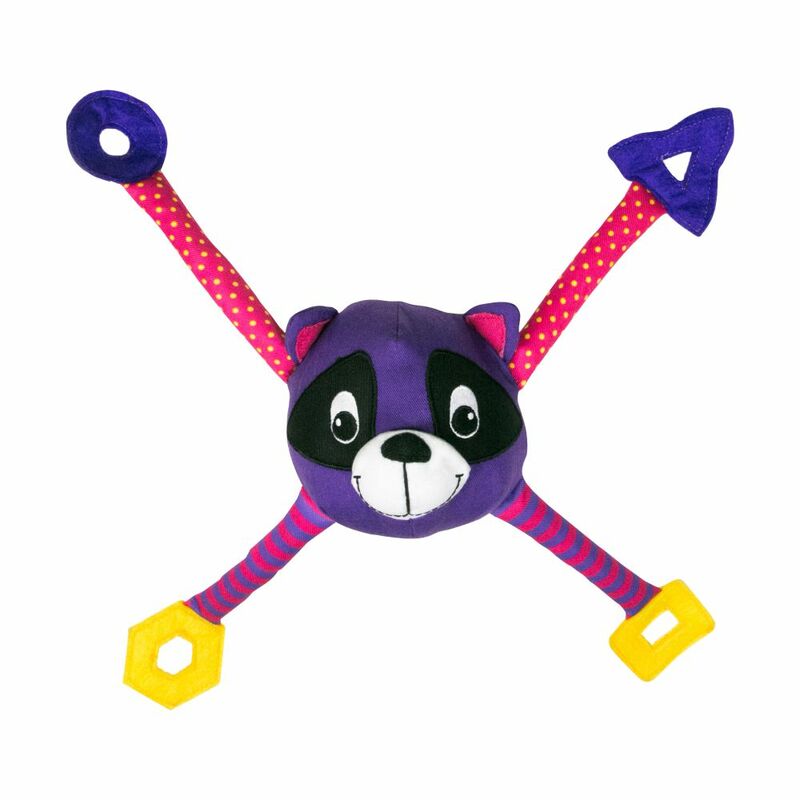 A healthy dose of catnip extends playtime fun.